It's official. 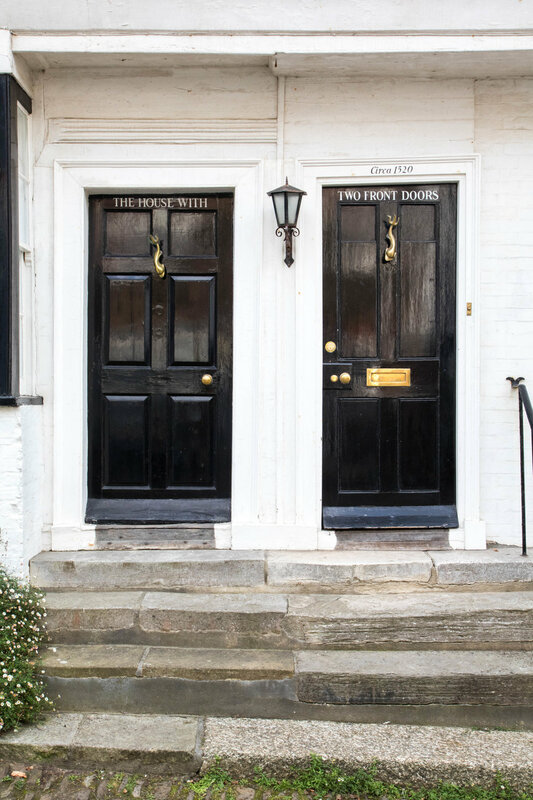 My husband and I have been talking through our plans for the upcoming months, and we realized that we have reached THAT point - the one where the list of places we want to go is longer than the amount of time we have to visit them. It would be wonderful if that meant that we are traveling constantly for the next four and half months, but unfortunately, we're not. There are wonderful friends to host and not-so-wonderful work trips to take, and the last few weeks will be absorbed by organizing and packing and, well, saying goodbye. But, in between, we have a few final plans to travel both near and far. This weekend, we embarked on one of those trips. 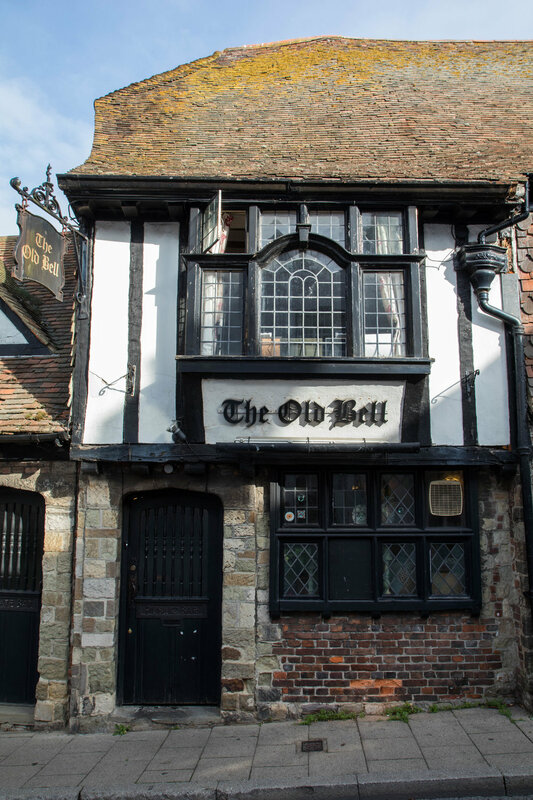 Rye, the historic town on the southeastern coast of England, has long been on my wish list. I'd be lying if I denied that the list was shaped, in part, by Instagram. The truth is, I find Instagram to be an incredibly inspiring place to plan one's travels. Rye was a local Instagram darling this past summer, and I wanted to see why. Rye's virtues were immediately apparent. We arrived early and had the run of the empty, historic streets. And when I say historic, I mean HISTORIC. 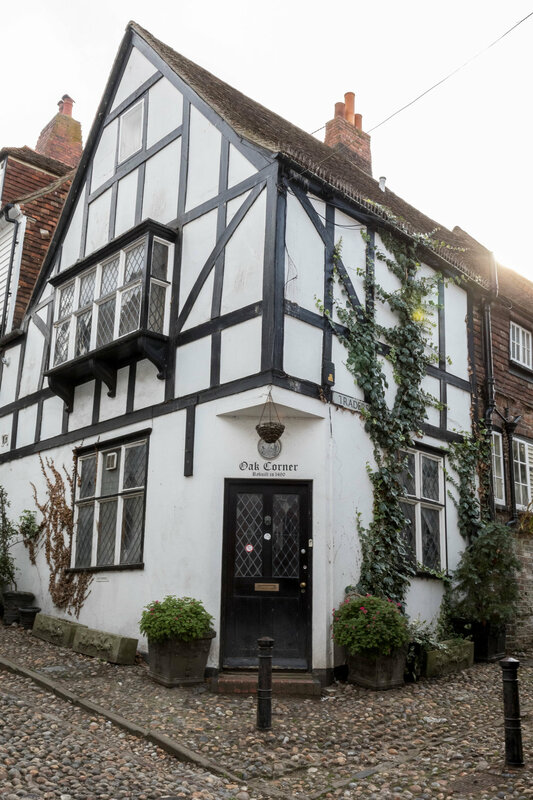 Buildings in Rye date from the 12th century; many bear notations about being RE-built in later centuries - you know, recent times like the 15th century. It's truly amazing to walk these streets and consider the stories they have seen. And walk these streets we did. I have a thing for photographing streets. 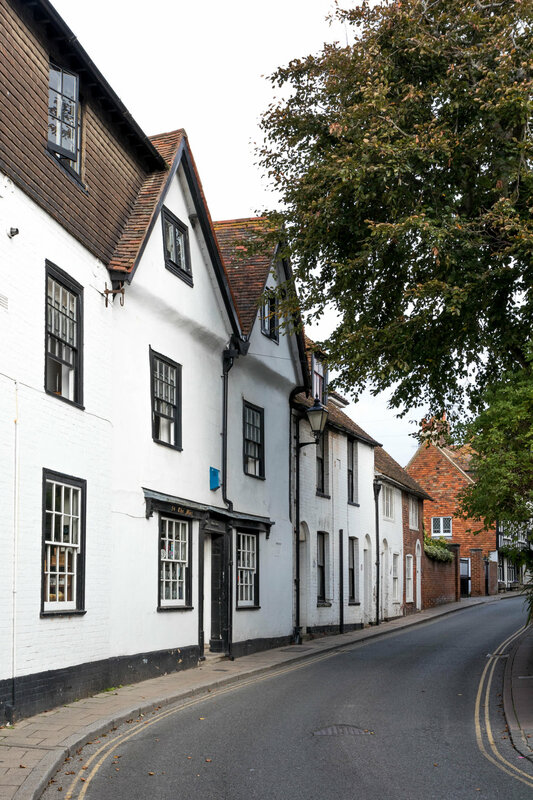 And I have a major thing for photographing curved streets, which England thankfully indulges me in more than I could have ever possibly hoped for. 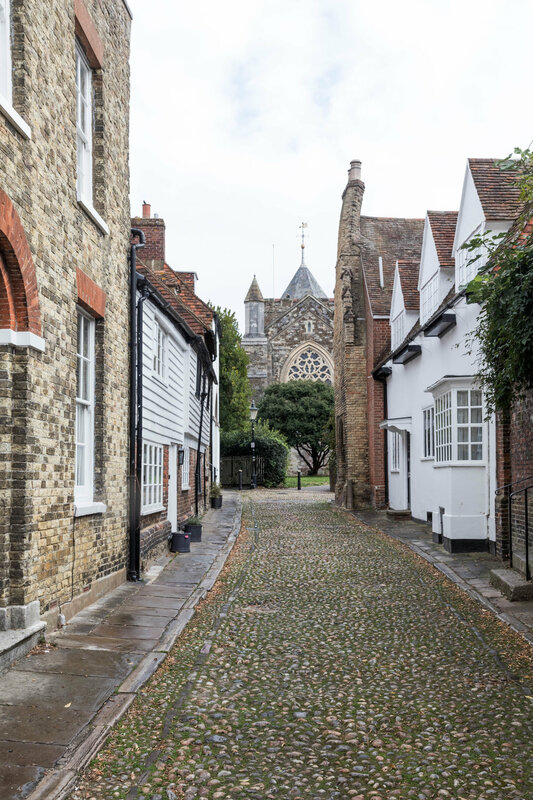 Rye is a series of beautiful interconnected streets, many of which are charmingly cobbled, and many of which are wonderfully curved. 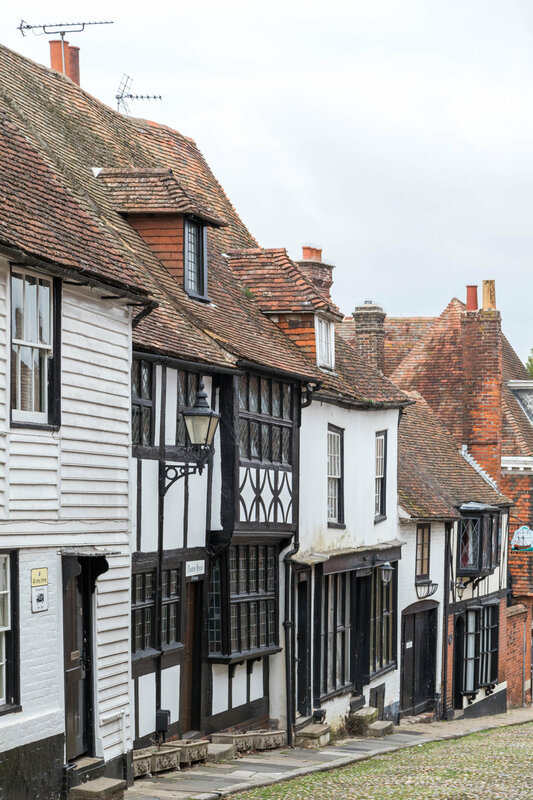 The most famous street in Rye is Mermaid Street, which is covered in tiny, rounded stones and is lined with the most stunning timber and Georgian homes, many with clever and cheeky names. 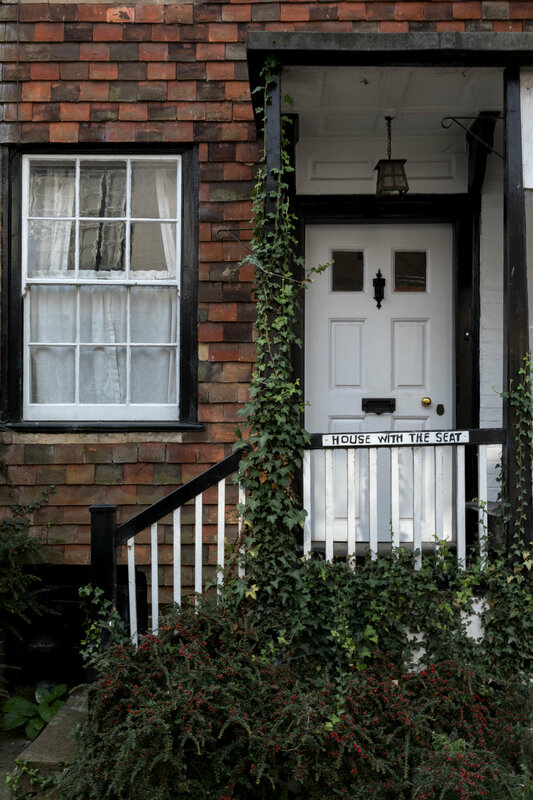 The foot of Mermaid Street in Rye, East Sussex, England. And my own little cheeky one couldn't help but pose for a photo at the top of Mermaid Street. The other highlight for us was climbing the bell tower of the Parish Church of St. Mary. It was a bit narrow at times - the perfect size for my three-year-old, a little tight for us - but the views were worth it. 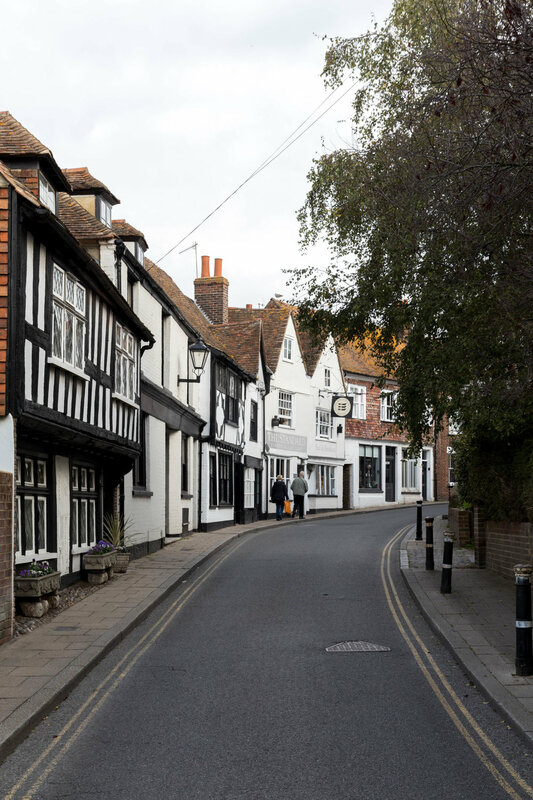 Rye, you are truly a stunner. 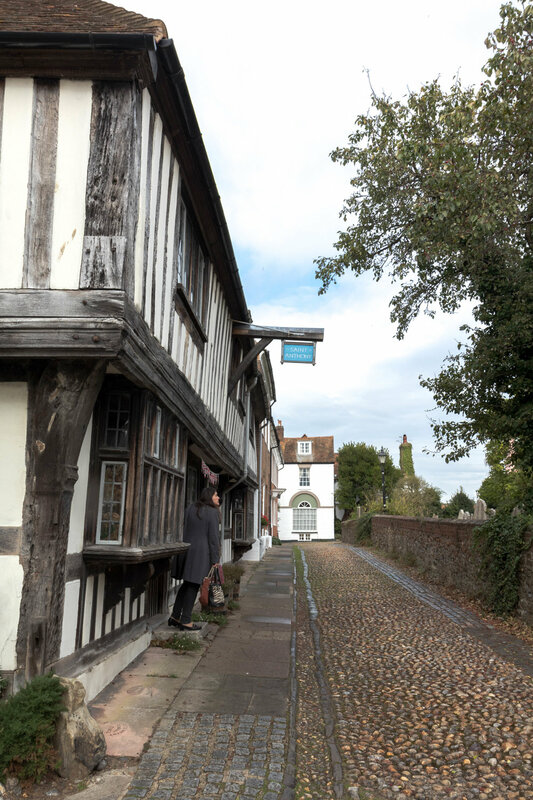 Your cobbled streets and timber buildings will long be a favorite of mine.